Adult continuing education courses are fun. In fact, I’ve taken a few myself. The duration of classes are short and the course instructors apply a practical, hands-on approach. What’s not to like? Well… I can think of one thing. You won’t receive college credit for these courses. And if you do, the class credit may equal to “one.” You still want to take that typing course? Returning nontraditional college students who want to pursue their previous college majors need to make sure the major’s requirements haven’t changed. Some majors will require more classes or different classes to fulfill graduation requirements. 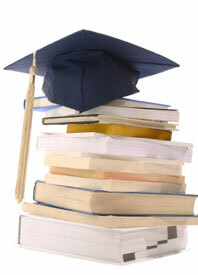 Many law schools have also changed their curriculums, with new courses and clinical programs. Columbia, Harvard, Stanford and the University of New Mexico law schools have taken the lead. Previously, many law schools have concentrated on case studies, things that have already been done. These schools cited that they’d like to keep up to date with the times, as there are many laws that have not yet been presented to a judge like several kinds of torts and contracts. Also, many lawyers were trained with generalized knowledge, but these schools would like to encourage students to take courses outside of their majors, so they can specialize in a particular field**. So if you’ve been trying to convince your spouse for the past few years to return to college, it’s time to step up your sales pitch. Switching college majors is a feat reserved for the criminally insane. Okay, you’ve got me, but I’ve only done it three times during my life-long quest to finish college. My first major was accounting, then psychology, then journalism, then public relations and marketing. A mixed bag, huh? My transcript looks like a tossed salad mixed with fruit, peanuts and split peas. Most likely, an employer will not see your transcript. However, they just might. After transferring schools four times (two were junior colleges; the other two were senior colleges), an internship I had applied for wanted to see my transcripts. I was mortified! Surely, they’d think I was unstable. Not only that, my school tenure, as stated on my transcripts, started in 1993, long before most 20-year-olds were in high school. As a nontraditional college student, I went back to college at 32 years old, originally dropping out at 19 when the combination of full-time school and work provided a burden. I chose to work to keep my first apartment, not wanting to return to my parent’s home after I had acquired the taste of independence. Later on, I realized that an education was important. Not only is knowledge power, but also college provided one with a career, not just a job. Since going back over two years ago–starting at a junior college–I knew I loved to write, so I decided on journalism because it kept me writing. It didn’t take long for me to join the student newspaper. Later, I wrote several articles for the local newspaper for a year, while still in school. While majoring in journalism at a senior college, I knew I wanted to pursue public relations as a career goal. I wrote for the student newspaper to keep my writing skills sharp, and then started an internship as PR support to gain more valuable knowledge. My colleagues suggested I get a communications degree as opposed to a journalism degree. It was still not too late, but I had to make a decision right away. The next semester, the only courses left–outside of my core credits–were my “major” classes. But the senior college I was attending didn’t offer a communications’ degree. I had already taken the sole “Intro to PR” class they offered. Where would I go? After consulting with my advisors, Anywho College was the answer. As of Spring 2008, I’m continuing my education in communications, namely advertising & public relations. I’m looking forward to my anticipated graduation date of May 2009. I’m also looking forward to gaining as much knowledge as I can about my chosen career. Thank you for considering me as an intern.